Visiting my dad during his recent hospital stay, the family spent many an hour reminiscing about memories from our childhood and early adulthood. Amongst the nostalgic yarns revisited were tales from a booze cruise to France, in the mid 1980’s. If memory serves me correct, I was aged around 20 years old at the time. What transpired was an eventful sojourn undertaken with my old man and a family friend; my invite coming courtesy of a misapprehension I possessed sufficient French language skills to act as an interpreter. When learning French at school, I recalled most of the words without issue. However, when it came to composing sentences grammatically I wasn’t quite as adept.………… Who just said “It’s a bit like your English then!”? The destination for our sojourn was the French port of Boulogne, a trip I embarked on with pater and Jimmy, his a ginger haired, Scottish drinking machine pal……….. I realise that last sentence contains sweeping Caledonian generalisations, but trust me it is true. The trip’s objective was to stock up on cheap beer, wine and French cheese for our use back in England. On arrival in Boulogne, we headed toward a French bar. We could tell it was a French bar as it had a sign saying ‘French Bar’ in the window. If it had been an Italian bar, I’d assume that the sign would have read ‘Italian Bar’; should it have been Spanish……. Well, I think you get my drift. At the French bar we imbibed several strong lagers of Kazakhstan origin. We were later to learn it was actually a Kazakhstan bar not French. The misleading sign a little white lie by the owner, as he couldn’t spell Kazakhstan……. To be honest the guy wasn’t the brightest, so I was surprised to learn he knew how to spell bar! After we’d finished drinking and had concluded the Kazakhstani exit ritual of boiling an orange before you’re allowed to leave, we left to find a Bed & Breakfast where we could retire……… To clarify, we retired to sleep; we hadn’t identified an abode where we could spend our time in dotage. The following day we had a delayed start, the result of Jimmy seeking his misplaced false teeth. Thankfully, he eventually located them down the side of his bed; their final resting place after being dislodged eating the orange he’d earlier boiled in the Kazakhstani Bar. After the cleansing of his dentures, which were then safely returned to his mouth during a bizarre Caledonian ceremony during which Jimmy recited a Burn’s sonnet, we headed to the hypermarket. Once at the giant food and drink store, we each took a trolley before wandering off separately to load up with booze and cheese…….. If he’d have also bought toilet roll, it would have been Jimmy’s normal weekly shop. Twenty minutes later, we met back up at the checkout with several cases of beer, bottles of wine and 5lbs of Brie and Camembert. Jimmy wasn’t a French fromage fan. However, as he didn’t want to miss out on the cheese eating, he’d took the decision to purchase a big block of English Cheddar. He seemed unperturbed when we pointed out that the Cheddar would be double the price it was at home. 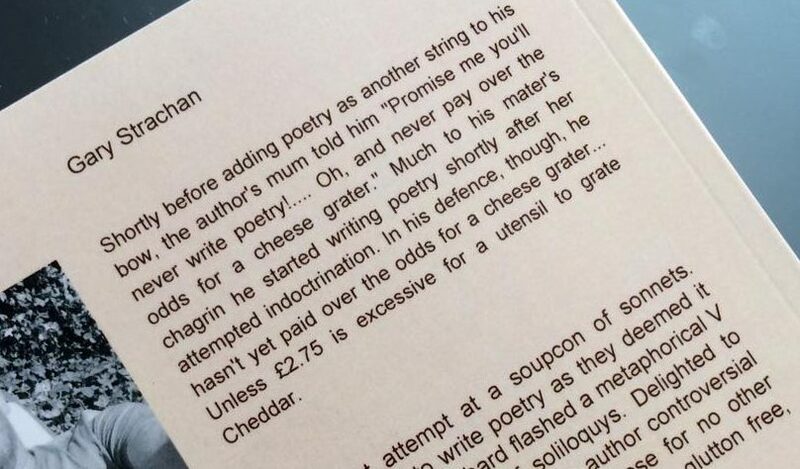 He just shrugged his shoulders, said he liked Cheddar, belched, and his teeth fell out again. At this point, my old man and I pointed out it might be prudent to see if they sold denture adhesive at the hypermarket. He wouldn’t countenance our suggestion, though, reasoning the garlic flavouring in the adhesive may alienate him from his social circle back in Gateshead. After filling the boot of my dad’s Vauxhall Cavalier with our booty, we headed back to the port to catch the ferry back over the English Channel, and the subsequent onward six hour road trip from Dover to the north east of England. On reaching our destination, my dad was particularly fatigued through undertaking all of the trip’s chauffeuring. I’d offered to drive part of the journey, but as I’d not passed my driving test, or indeed had a driving lesson at that point, my dad sensibly declined the offer. We got back to Gateshead tired, but happy with our haul of cheap booze and Gallic dairy produce. On dropping Jimmy off, we were greeted by his wife at the door as we helped him guide his 100kg block of Cheddar through the front door of the house. She appeared distracted as we passed her, glaring disapprovingly at her hubby throughout. After dropping the cheese block on the kitchen table, sensing a domestic scene, my dad and I hurried back towards the car. Next PostNext You Cannot Be Serious!